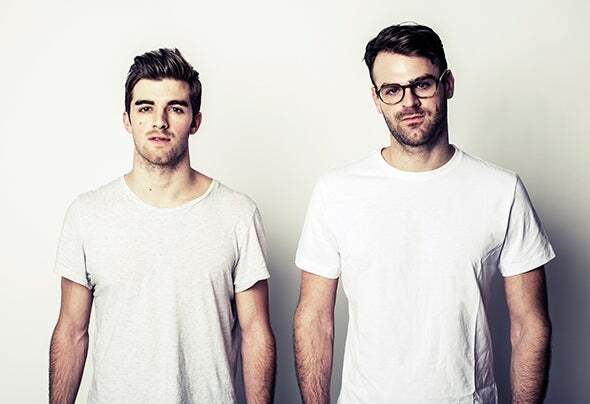 The Chainsmokers have become the hottest young American EDM DJ duo. Their live shows are becoming the most sought after in EDM. Their wild antics, hilarious personalities, and addicting productions have fans interacting with them non stop and running to see them live every chance they get. Their signature sound has its foundations in Indie, Progressive and Pop Music. On the production front, their original tracks have all reached the Beatport top charts and their remixes always hit #1 on the HypeM charts. They've gotten immense support by friends such as Nicky Romero, Steve Aoki, Pete Tong, Afrojack, Tiesto, W&W, and more. There first major release, #SELFIE, and it's official music video swept the world so look out for much more to come!